You are here: Home / Africa loves Bush??!! So why do many African’s like President Bush? 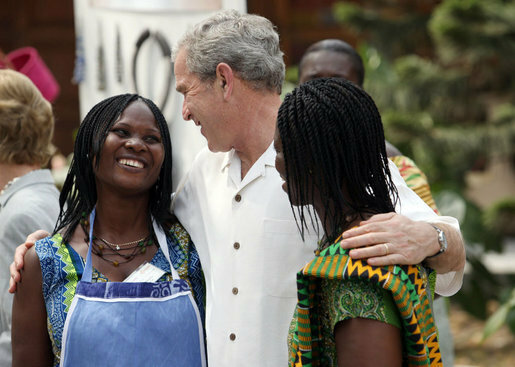 Since Bush has been in power African Aid quadrupled from $1.3bn to $5bn. In addition billions of dollars were spent by the US to reward good governance programmes to help combat HIV/Aids and malaria. The love for US Presidents is sure to continue. Obama’s father is Kenyan (from the Nyang’oma Kogelo, Nyanza Province) and as a result has given the people hope and inspiration. The whole country followed the election very closely. His face was everywhere from peoples cars to t-shirts. Songs were sung about him and there was even a musical performed in Nairobi!